BANGLADESH. Gaibandha District. 2010. 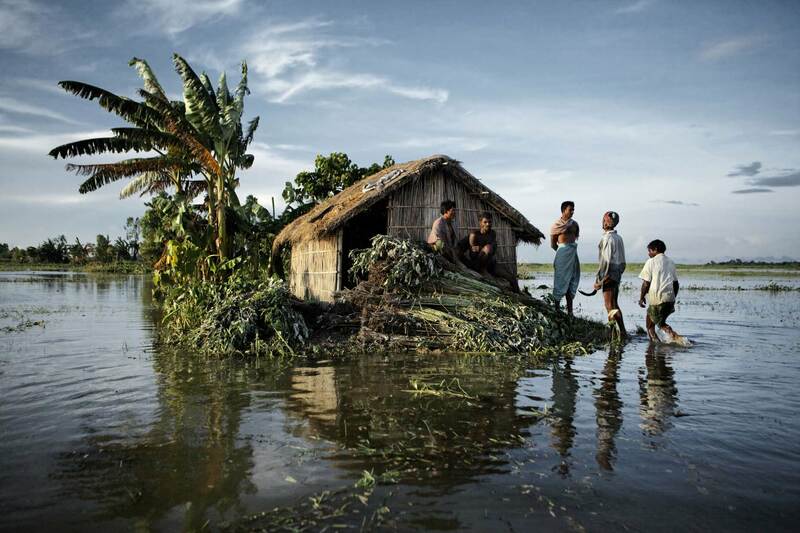 During the harvest of jute, villagers rest above the floodwaters of the surging Brahmaputra river. A simple adaption in flood-prone areas is building every house on a 2-meter tall mud plinth.